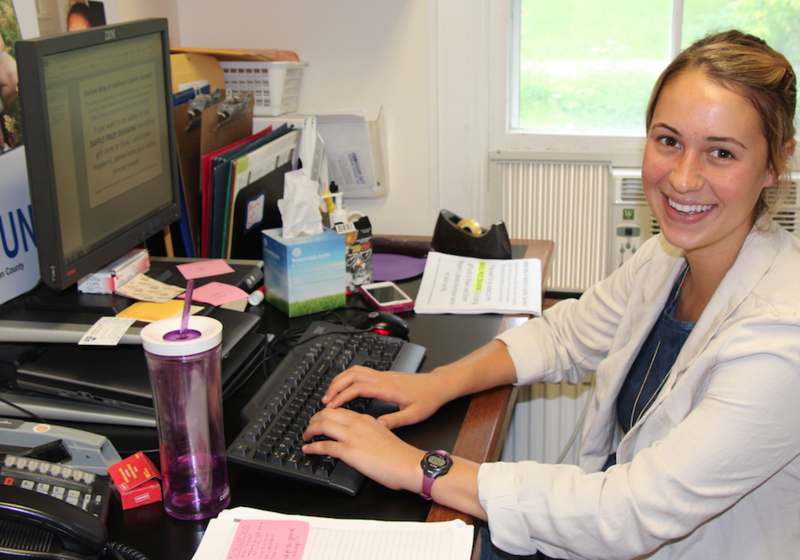 Kathryn Haderlein ’16 is participating in the Addison County Poverty Internship Program for the second time, currently as an intern at United Way of Addison County. My first experience with the Community Engagement Office was as an Addison County Shepherd intern during the summer of 2014. Specifically, I worked with DREAM, a non-profit that provides summer programming for kids living in subsidized housing units. Seeing people’s lived experiences and hearing stories about the challenges of becoming financially stable and self-sufficient encouraged me to desire a greater understanding of factors that drive issues of poverty. Why do so many people live with incomes below those that meet their basic needs? What kinds of barriers hinder low-income families from achieving financial self-sufficiency? Is it a structural issue for policymakers to address or a community problem for private organizations? And why, despite the millions of dollars that go towards anti-poverty issues, is it so difficult to move people permanently out of poverty? While no one has solved poverty (yet! ), I’ve learned a lot about different strategies and organizations that are working towards an ultimate solution during my J-term and summer internships at the United Way of Addison County. I’ve learned about different welfare benefit programs through research opportunities, heard from leaders in the community on issues of food insecurity and homelessness at different conferences and meetings, and chatted with actual people struggling with these issues while collecting data as part of a community-based survey. It’s been very rewarding to apply the skills I’ve learned in the classrooms of Middlebury College to real-world issues of Addison County and beyond, and the Community Engagement Office has connected me to so many helpful people and systems of support along the way. The mission of the United Way is to “improve lives by mobilizing the caring power of communities around the world to advance the common good,” and it has been awesome to be part of two organizations (the United Way of Addison County and the Middlebury College Community Engagement Office) that really live out that statement.